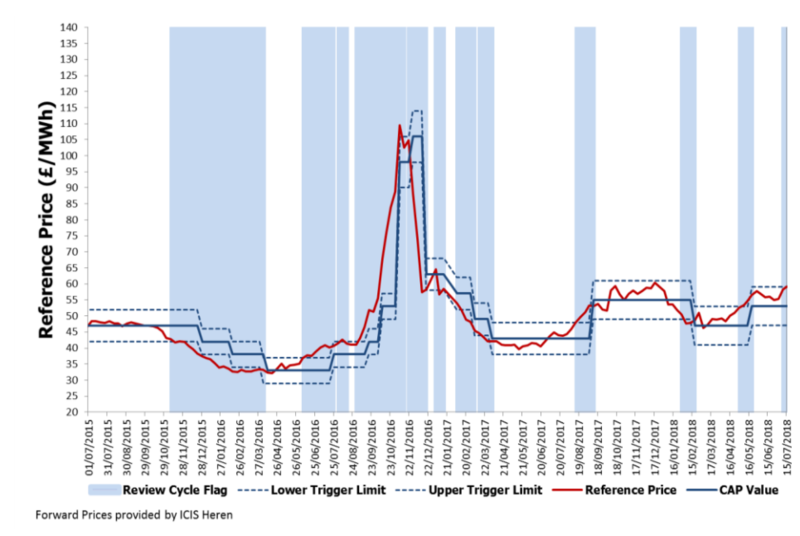 The July TOR, published as part of our Trading Operations Reports, includes a graph on weekly Credit Assessment Price (CAP) trigger checks. ELEXON’s Trading Operations Report (TOR) provides a market-level overview of key events, issues or incidents over the last month, a wide range of statistics on the energy industry and a suite of market graphs. The CAP value of £53/MWh breached the upper threshold of £59/MWh on 16 July 2018. A consultation was issued and closed on 24 July 2018. It was agreed that the value of CAP should increase to £59/MWh from 18 August 2018. The upper and lower threshold remains at +/- £6/MWh.